Media reports last week indicated that finalizing the Canada – European Union Trade Agreement has been delayed by a Canadian demand to exclude intellectual property from the scope of the investor-state dispute settlement system. While that sounds like an arcane, technical issue, it actually involves potentially billions of dollars and the Canadian government deserves kudos for adopting its current position even as the pressure builds to simply cave on the issue. The investor-state dispute settlement provision is among the most controversial aspects of CETA (and the proposed Trans Pacific Partnership) since it opens the door to private lawsuits by companies against the government over the state of national law. These lawsuits can involve claims for hundreds of millions of dollars, with costs that may ultimately be borne by taxpayers. The Canadian government is keenly aware of the risks, since it is currently facing a $500 million lawsuit by pharmaceutical giant Eli Lilly over the approach of Canadian courts to the concept of utility in patent law. The Canadian government is likely to ultimately win the lawsuit, but the legal risks are still significant, with Eli Lilly effectively demanding that every Canadian pay it nearly $15 due to our patent laws. 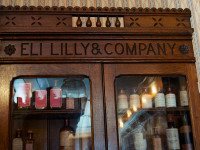 If Eli Lilly can file a $500 million lawsuit over two patented drugs, the potential for numerous lawsuits and billions in claims is a real possibility.